Just a few years ago, I had my first experience with a Polar product. In the time since then, I’ve used it, alternating with the Garmin that’s also in my workout watch stable. A lot can change for a brand in a few years, so we reached out to the brand, and got a few more items in for review. 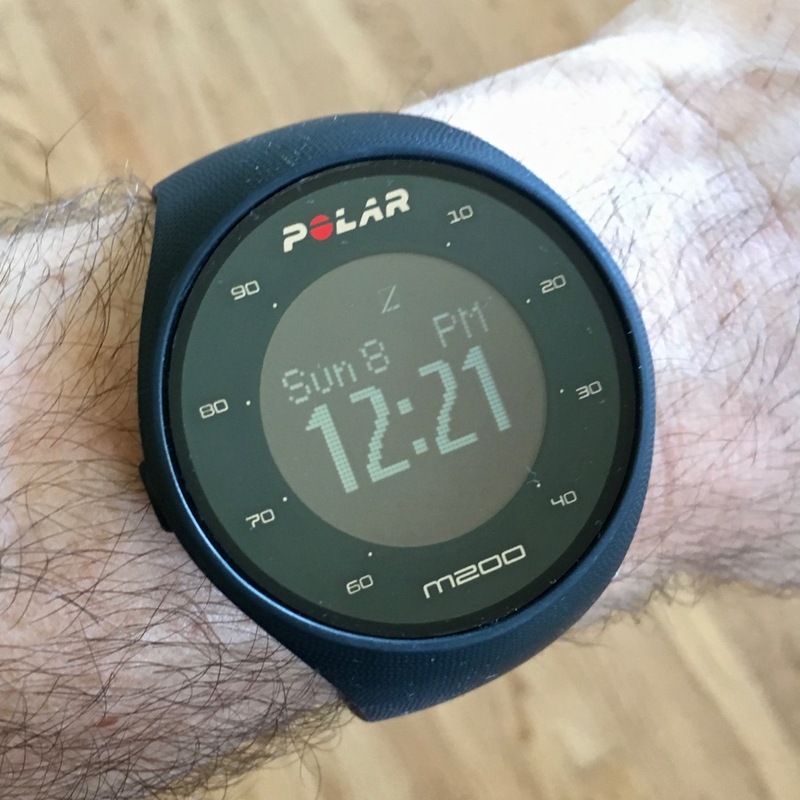 The first one we’ll be taking a look at is the Polar M200. Even though the Polar M200 (40g; 14.7mm thick) is in a different series than the prior Polar watch (an A300), in many ways I view it as a successor. For starters, it’s got a built in USB connector (no proprietary cables necessary here) that are exposed from the easily changed (and colorful) straps. The one big change (aside from the shape of the watch itself) is how it captures the heart rate, and the inclusion of GPS. With the Polar A300, that required the use of a heart rate strap (that communicated with the watch via bluetooth). While this is perfectly functional (and is picked up simply by the treadmills at my gym) it is another piece of equipment to wear – and wash. Well, with the Polar M200, we enter into the world of a wrist-mounted heart rate tracker. AKA, those little green lights you’ll see flashing on peoples wrists with other trackers. Here, though, the heart rate is only triggered when you’re in one of the workout modes on the Polar M200, and I’m ok with that. Sure, checking the HR throughout the day might be interesting (and you can easily do that, manually, on the watch), but by only having it triggered when working out, you’re helping to save the battery, which, on the Polar M200, is pretty nice – this is not a watch you’ll have to charge every single day. And let’s not forget about the GPS. This may sound a little silly, but it’s definitely helpful for tracking your distance. On a track or treadmill, that may not be as important. But, if you’re on a rambling hike (or even a jog through the neighborhood) it’s a nice value-add, especially at the price point this watch comes in at (more on that in a bit). In terms of setting up the Polar M200, it was a pretty simple affair – get it charge, link it to my phone, and finish the setup via Polar Flow. Since I had already been using that app, and had setup which activities I’m likely to track, those all pulled over to the M200 and I was ready to go. It did take some adjusting going from having four buttons to just two on the Polar M200, but it’s easy enough to figure out. The button on the right cycles through choices, and a long press on it makes the selection. The left button backs you up one screen, and puts it into syncing mode when you’re at the main time-keeping screen. While I didn’t do any strict A-B comparisons between the Polar M200 and the A300, they seemed to get similar results (in terms of HR tracking and calories burned) doing similar workouts, so I was happy. And really, if you’re sticking with a single device, things are directional (ie, did I work harder today or not) unless you’re a serious athlete – in which case, the pure accuracy is of more concern. For me, I’m happy to trust in what Polar has built here. I did pay attention to what the Polar M200 was recording in terms of step counts, though, as my trusty Fitbit One was still on my pocket. For workouts, they stayed very close in terms of counts. When it came to tracking throughout the day (I wore the M200 as a regular watch as well), that’s where things diverged a bit. Then again, you’re comparing wrist-mounted to something that’s clipped onto a pocket, so they’ll differ. And again, if you use the same device every day, that discrepancy isn’t as important – you can tell how you’re doing day over day. Would I wear it? Yes – this is a great upgrade / step up from the Polar A300. What I’d change: A more detailed sleep-tracking mode (that you could start manually) would be a nice bit of metrics to capture.